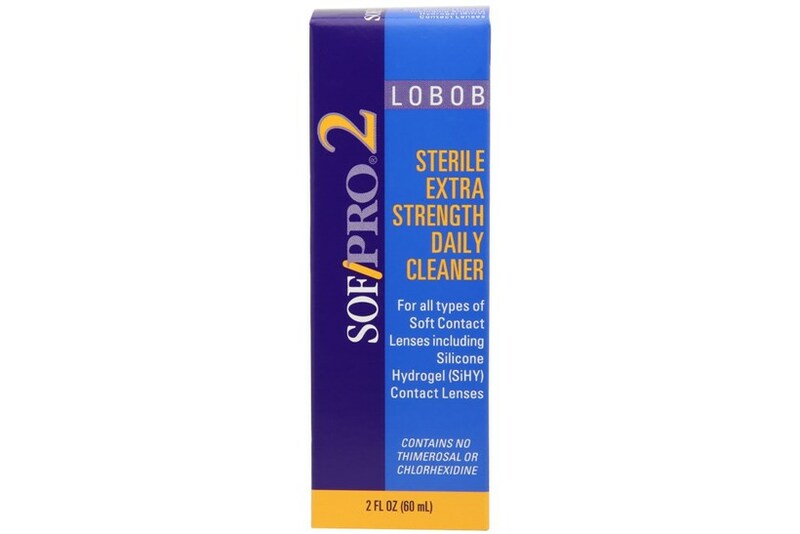 Lobob Sof/Pro®2 Sterile 'Extra Strength' Daily Cleaner is a cleaner for all types of Soft Contact Lenses including Silicone Hydrogel (SiHy) Contact Lenses. This daily cleaner removes accumulations of film, debris and protein deposits from contact lenses when used daily. It does not contain preservatives such as thimerosal or chlorhexidine. It must be rinsed with sterile saline solution or multi-purpose solution. *Do not use directly in the eye.